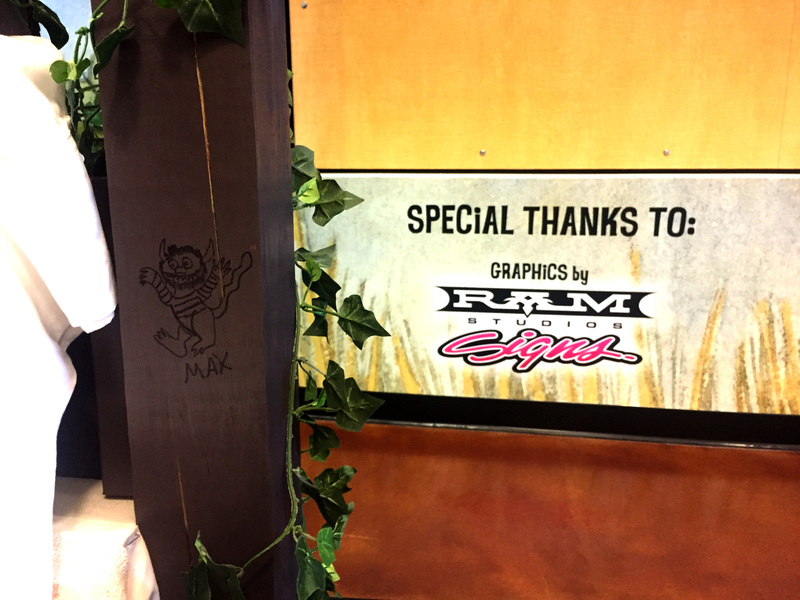 A vinyl decal of Max outside the entrance of RAM Studios Signs. Recently, we were asked to help with a very special project. 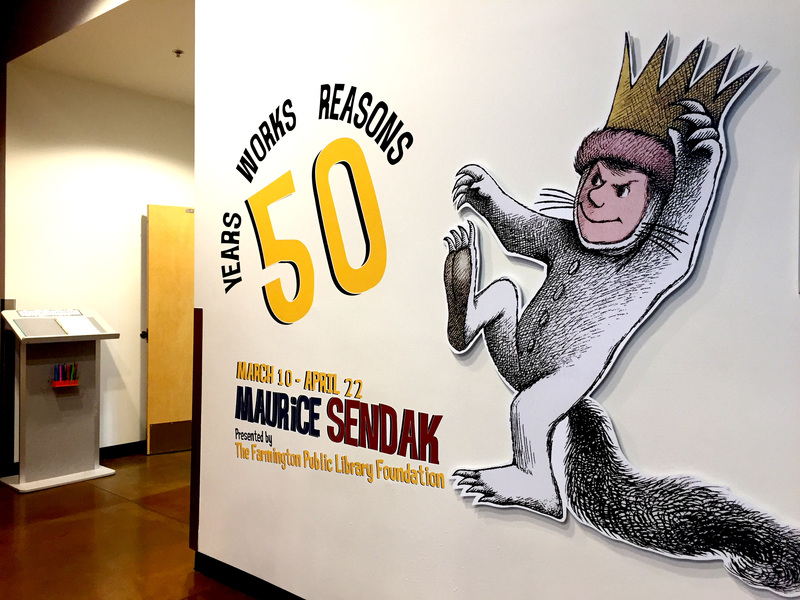 The Farmington Public Library was awarded the opportunity to host the Maurice Sendak Memorial Exhibition, a traveling exhibit of the artist’s work that appears at only one location in each state. RAM Studios Signs got to work on making vinyl wall decals that reflect the work of the late author and artist. The children’s section of the Farmington Public library. 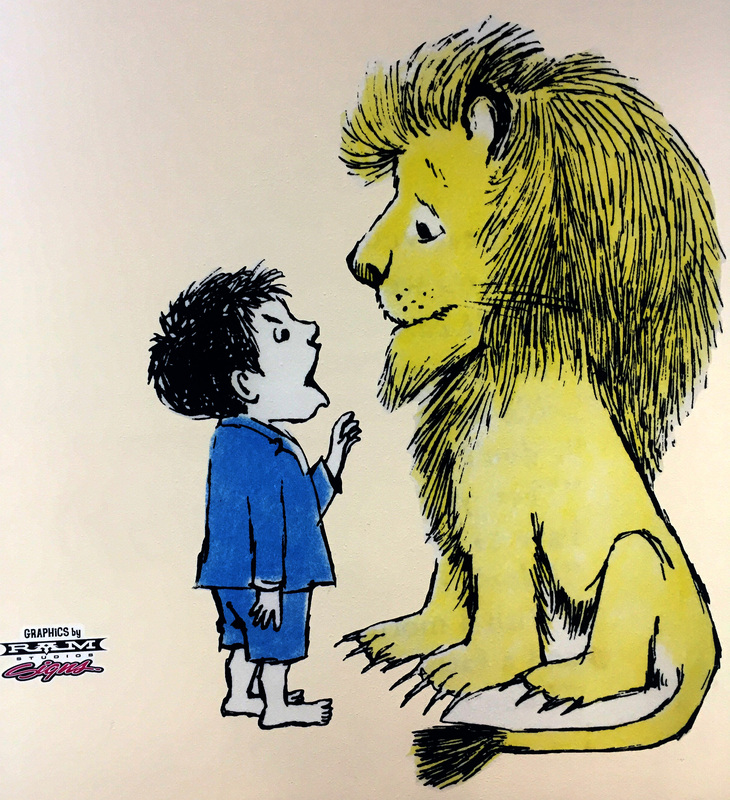 The wall decals are dispersed throughout the library, covering areas of the children’s book section with images from books such as In the Night Kitchen and Pierre: A Cautionary Tale in Five Chapters and a Prologue. Wild Things hanging from the trees in the Maurice Sendak exhibit. The best, however, is saved for the main attraction- the exhibit room where Maurice Sendak’s personal sketches and drawings hang. 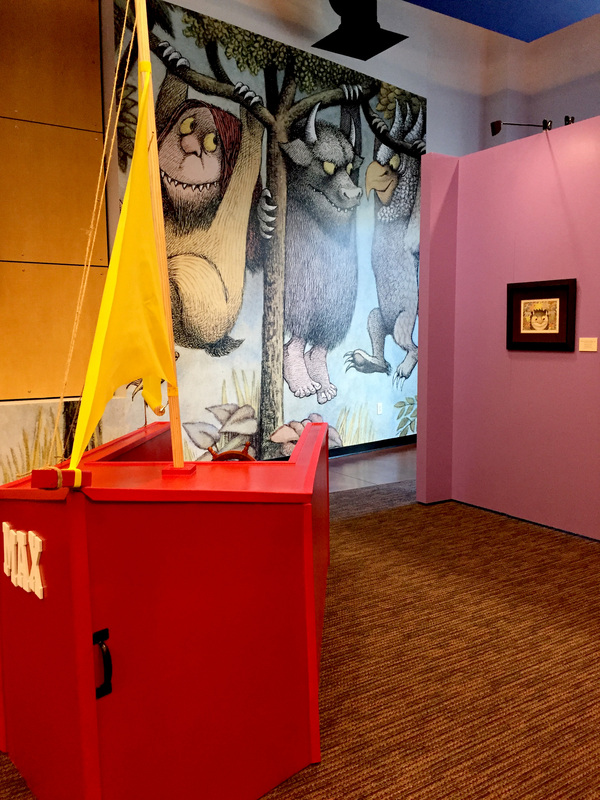 Surrounding the exhibit are images from Sendak’s most famous work, Where the Wild Things Are. Fans of Sendak’s work will immediately notice Max at the entrance before entering a room where the walls are covered with the Wild Things. 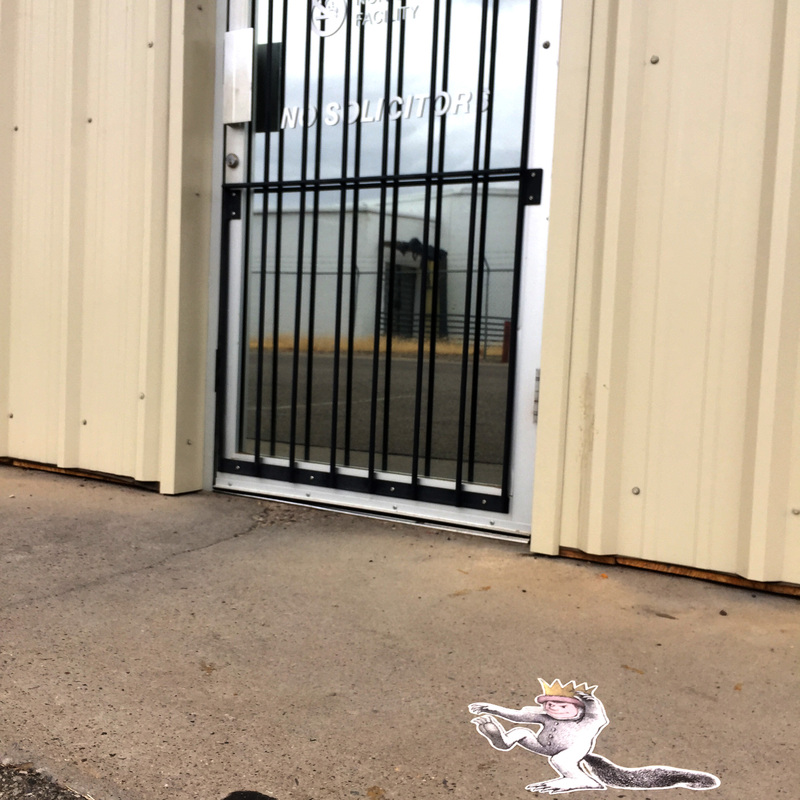 Visitors are greeted at the entrance to the Maurice Sendak exhibit by Max. For this particular project, the vinyl wall decals were a great option, as they will be easy to take down after the exhibit has ended. They leave no mark or residue behind, making vinyl wall decals a great alternative to paint. Keep your eyes peeled. There are Wild Things everywhere! The exhibit will appear at the Farmington Public Library until April 22nd. Admission is $3 for adults and $1 for children.